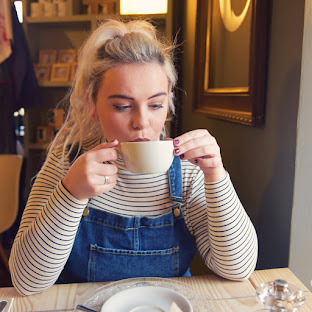 With Valentine's Day quickly approaching I thought I would share a few themed recipes, you all know I love a theme! 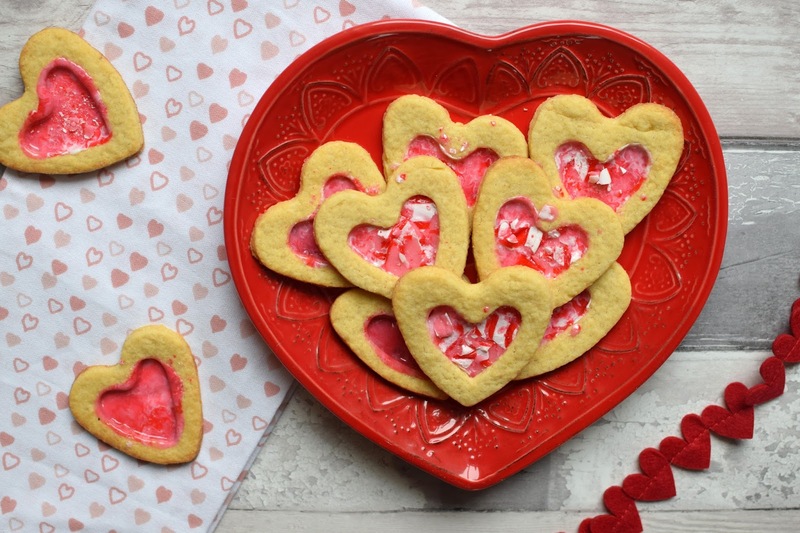 I've got 3 recipes up my sleeve coming in the net few days for Valentine's treats, starting with this recipe for Peppermint Candy Valentine's Biscuits. I thought that these biscuits looked super sweet, they would be great to wrap up with some cellophane and ribbon to give as a gift. They're also really easy to make and don't take long so you can whip them up as a last minute gift. 1. Tip the flour and butter into a large bowl. Use your fingers to squash the lumps of butter into the flour, then rub together until the mixture resembles breadcrumbs. Add the sugar and egg yolk and 3-4 tbsp cold water. Mix together with a blunt cutlery knife, then your hands, until it becomes a soft dough. Wrap the dough in cling film and pop in the fridge for 20 mins to chill. 2. Heat oven to 200C/180C fan/gas 6. Line 2 baking trays with baking parchment. Put the candy canes in a resealable plastic bag, then wrap in a tea towel. Use a rolling pin to bash them to a chunky rubble. Set to one side. 3. Dust your work surface with a little flour, then use a rolling pin to roll out the dough. 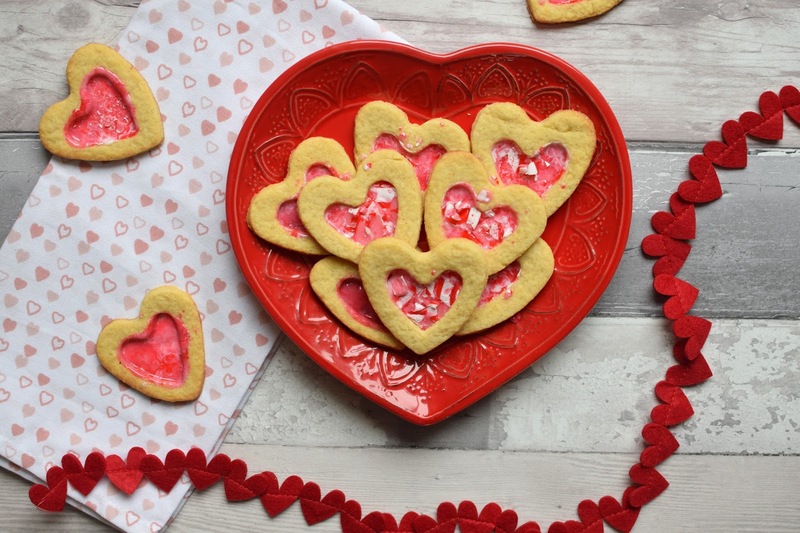 Cut out heart shapes with your big cookie cutter. Put them on the baking trays, spaced a little apart. Use your small cutter to cut out a little heart in the centre of each big heart. Re-roll your cuttings to make about 20 hearts in total. 4. Bake for 8 mins. Carefully remove the trays from the oven, then fill each small heart with a little of the crushed candy cane. Return to the oven for 4 mins more, until the biscuits are just starting to turn golden and the candy cane has melted. 5. 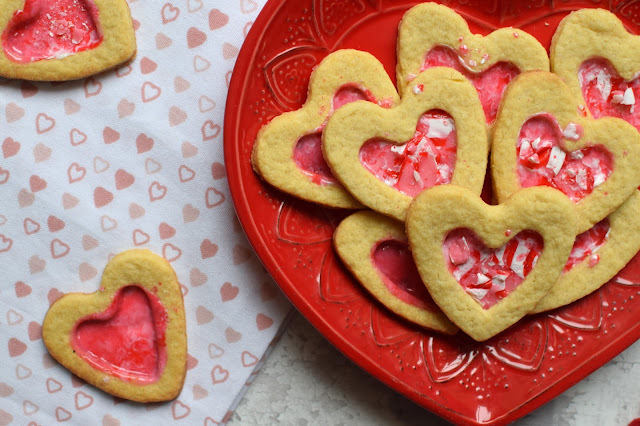 Once out of the oven, quickly sprinkle the gooey centre of each heart with a little extra crushed candy cane. Leave to set and cool completely on the trays. Once cool, the biscuits will peel straight off the trays.